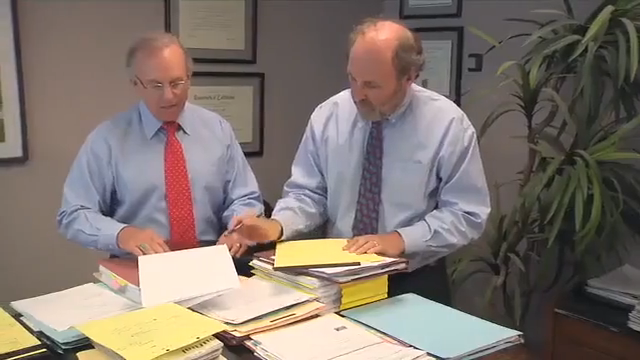 Since 1979, Casper, Meadows, Schwartz & Cook has been providing trusted representation to clients throughout the area. Our experienced Walnut Creek personal injury lawyers have decades of collective experience that we put to work for each and every client. Due to our extensive knowledge and resources, our firm is able to take on cases that many other firms simply can’t. As a result of our dedication, hard work, and client-oriented legal services, our firm has obtained more than 50 verdicts and settlements in excess of $1 million. Casper, Meadows, Schwartz & Cook works with a network of strategically selected professionals who lend their expertise to the facts of the case. This strengthens our overall approach and enables us to build a case that gives our clients the best possible footing as they work to obtain maximum compensation. Our clients are prioritized during every step of case proceedings. At Casper, Meadows, Schwartz & Cook, we provide each case with an approach that is tailored to our clients’ individual needs and circumstances. Although many cases have similarities, there is no one-size-fits-all approach to law. We provide legal solutions that are crafted to provide the best possible outcomes on behalf of our clients. As local attorneys, we are available to our clients whenever they may need our legal guidance or input. Throughout case proceedings, we keep our clients well-informed about developments and on what they can expect in the future. With resources to pursue our clients’ claims to their fullest potential, our firm is dedicated to providing passionate advocacy on behalf of our clients. By taking the time to explain everything that is going on to our clients, we equip them with the knowledge to make informed decisions about their future. Being able to obtain life-changing amounts of compensation for our clients in order to bring them out of a devastating incident and into a brighter future is our goal and motivation. Our lawyers are known for their dedication to client concerns and for their commitment to obtaining justice in every case. Learn more about our firm today. If you have suffered a serious injury in an accident or believe you have a wrongful death claim, contact our Walnut Creek law firm.